Warren Byrne took his goal tally for the season to seven as his hat-trick guided South Shields to a come-from-behind win at Willington. Stephen Ramsey was also on the scoresheet as the Mariners turned a 1-0 half-time deficit into a 4-1 victory for their fourth win in a row. Shields had to battle from the first whistle at Hall Lane, but their quality eventually told as they dominated the game in the closing stages. New signing Robert Briggs played the full 90 minutes on his second debut for the club, while there was also a start for Joe Melvin up front in the absence of Jonny Wightman. The visitors started strongly, and Byrne had the first opportunity as he headed a Wayne Phillips shot straight at Peter Wakefield in the Willington goal. Phillips later fired well over, while Byrne also cleared the crossbar with a header from a terrific Phillips cross. Willington were not playing badly themselves, though, and Adam Burnicle was played in on goal in the 22nd minute, only to be denied by an impressive save from Ryan Beal. Former Mariner Burnicle did beat Beal soon after, though, when Willington won the ball in the centre and it was played through to him, before the forward forced it past the goalkeeper. Shields continued to be the side creating most of the opportunities, but they were restricted to half-chances, with Byrne, Melvin and Briggs all being denied from long range. A good chance fell to Briggs on the stroke of half-time after he was found by a clipped cross from Phillips, but he was unable to get enough on his header, and Wakefield kept it out. Shields therefore went in at the break a goal behind, and the hosts thought they had gone two up within two minutes of the restart. Dean Thexton was found on the inside-right of the box, and his powerful drive was parried by Beal to Connor Lowes, who tapped home. However, the assistant referee’s flag was up for offside, much to the Mariners’ relief. Byrne had a shot deflected over soon after, while another effort from the in-form striker was scrambled clear before Ramsey was introduced from the bench in place of Melvin. Burnicle could have made it 2-0 when Beal slipped when taking a goal kick and presented the ball to him, but the striker was unable to react quickly enough, and sent it straight back to the goalkeeper. Ramsey sent a header over, while at the other end, Beal had to react quickly to force behind a 35-yard shot from Corey Nicholson, who played for Shields in pre-season. The Mariners finally got back on level terms three minutes past the hour mark when the ball was worked to Phillips inside the box on the right, and his powerful effort was kept out by Wakefield, but only pushed as far as Ramsey, who converted the rebound. From then, there only looked likely to be one winner, and Byrne was fouled on the left of the box three minutes later for a penalty. Byrne took responsibility, and hammered the ball low into the centre of the goal to put Shields ahead for the first time in the game. At this stage, the Mariners were attacking at will, and captain Leepaul Scroggins was the next to force an opening as he dribbled the ball through the centre, before being stopped in his tracks just as he was about to pull the trigger by a challenge from Lewis Milner. That only delayed the inevitable, and the third goal to virtually seal the victory arrived 10 minutes before the end when Briggs lifted the ball over the top to Byrne, who controlled it and then dribbled around the goalkeeper before shooting high into the net. Michael Turner hit the bar, while Barrie Smith also fired narrowly over as Shields looked to make the margin of victory even wider. The final word was left to Byrne, who completed his hat-trick a minute into stoppage time. Scroggins crashed an effort against the crossbar from eight yards out, and Byrne hit the rebound first time towards goal. A defender tried to hack the ball clear from the line, but the officials ruled it had crossed the line, and Byrne was able to celebrate his seventh goal in four games. It further cemented a fourth straight victory for Shields, who are level on points at the top of the Ebac Northern League Division Two table with Team Northumbria, Chester-le-Street Town and Darlington RA. They travel to Alnwick Town on Tuesday for a 7.45pm kick-off. 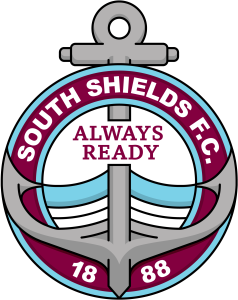 SOUTH SHIELDS: Beal, Smith, Turner, Hall, Galpin, Briggs, Sakr (Chapim 59), Scroggins (c), Byrne, Melvin (Ramsey 53), Phillips (Riding 78). Subs not used: Young, McMahon. Goals: Ramsey (63), Byrne (pen 67, 80, 90+1). @SouthShieldsFC great comeback win! Off to Watford for 3 pts for the mighty #SaintsFC. #mightymariners.